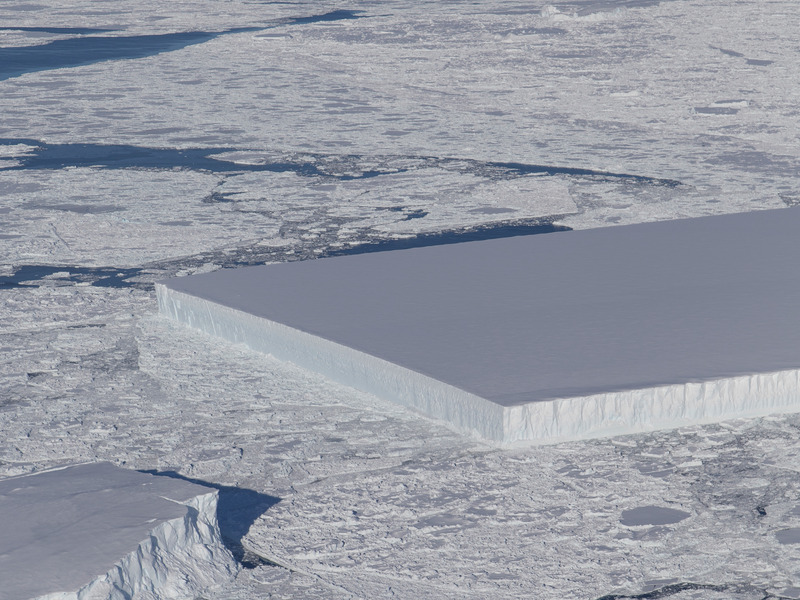 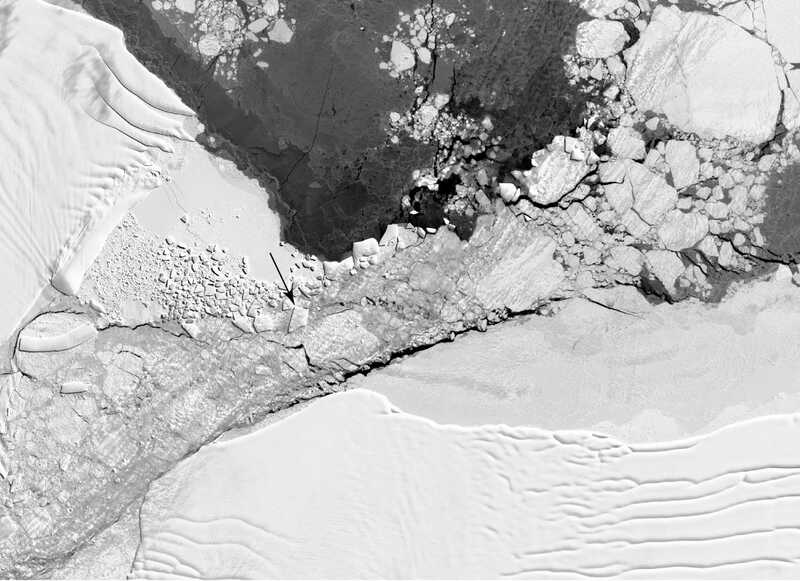 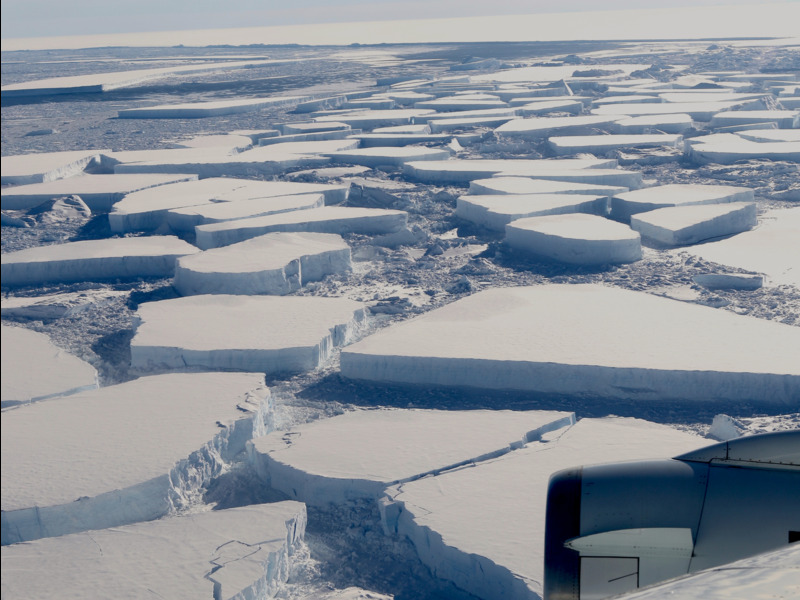 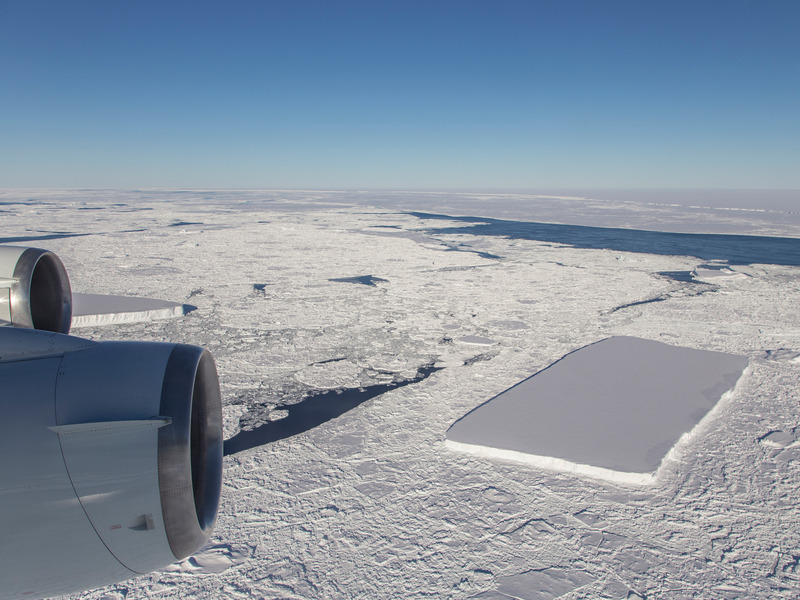 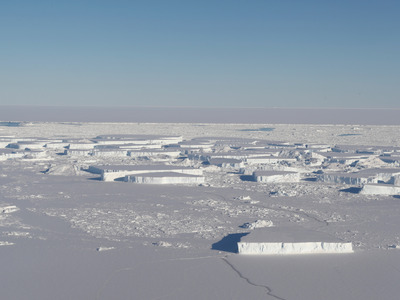 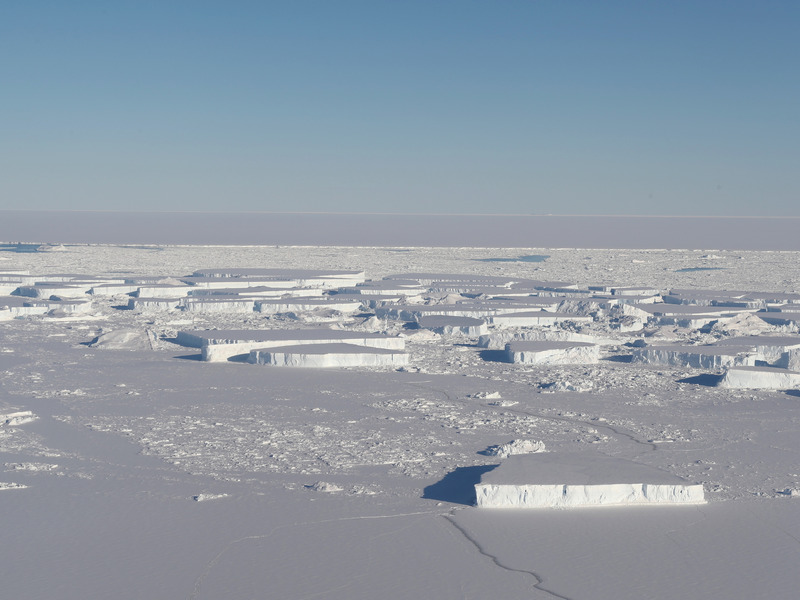 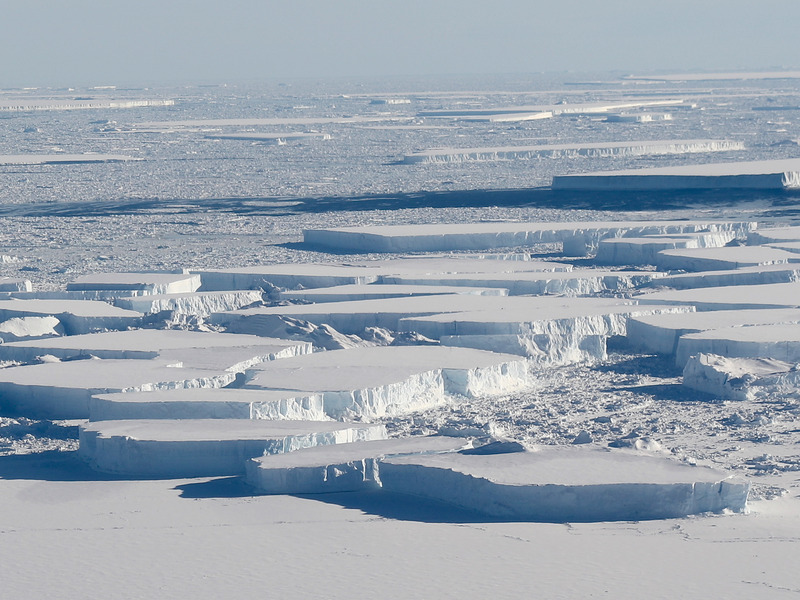 On October 16, NASA scientists found a number of large icebergs between Antarctica’s Larsen C ice shelf and the A-68 ice island, which separated from the ice shelf last year. 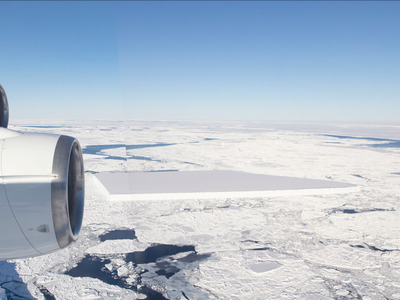 NASA’s flying research laboratory carried the scientists around Antarctica. The aircraft is a modified Douglas DC-8 jetliner.